As a swimming pool owner, you know that safety is without a doubt the most important thing to remember, especially if you have young kids using your pool. While it’s crucial to be aware of water safety all year long, according to Safe Kids USA, drowning incidents increase by 89 percent from May through August. That’s why May has been named National Water Safety Month, which reminds parents, educators, kids and professionals about the importance of playing it safe in the pool. 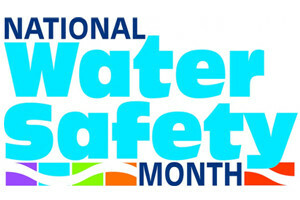 What’s National Water Safety Month all about?